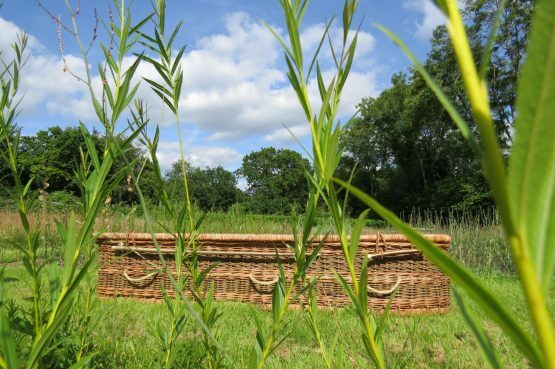 Most frequently known as Wicker Basket Caskets our Buff Willow Coffins feature classic basket-making willow (Buff Willow), which is prepared by boiling, then stripping to give a natural shine. Used here in tandem with unprocessed natural willow to give contrast and elegance. 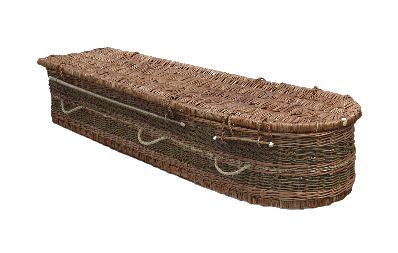 Our most elegant wicker willow coffin style – chosen for its beauty and green credentials, over time we have refined our wicker coffin designs to be completely biodegradable and sustainable. Made to order in the size you require. We can also supply a hardboard cover for the base of your coffin (essential for cremation) and our own handmade nameplate for a small additional cost. Take a look at our green willow coffin design if you like a more rustic and natural look. Please get in touch for wicker coffin price information and availability. We are happy to deliver for free within a 15 mile radius of Brighton. 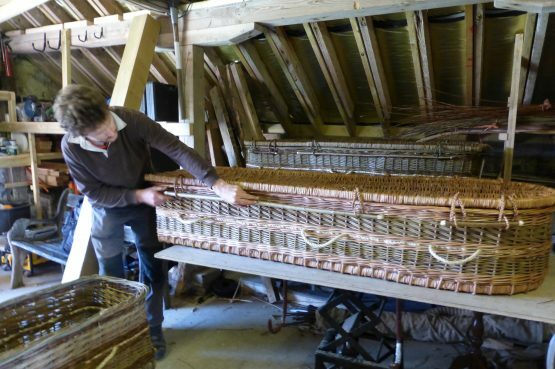 When searching for a UK maker of willow coffins I came across Sussex Willow and Jake Whitcroft. I'm so glad I did. 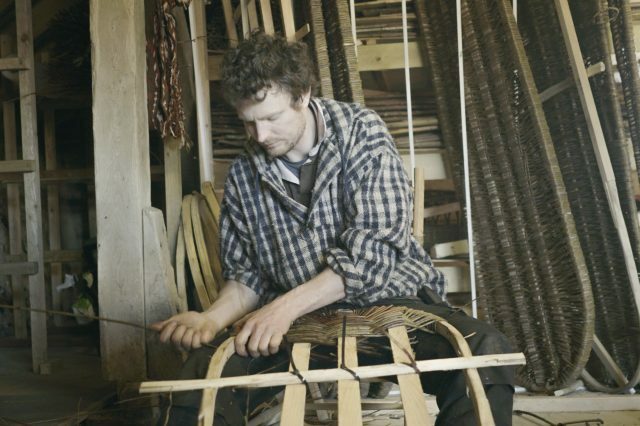 Visited Jake's workshop where he was happy to show me examples of his work and discuss my requirements. 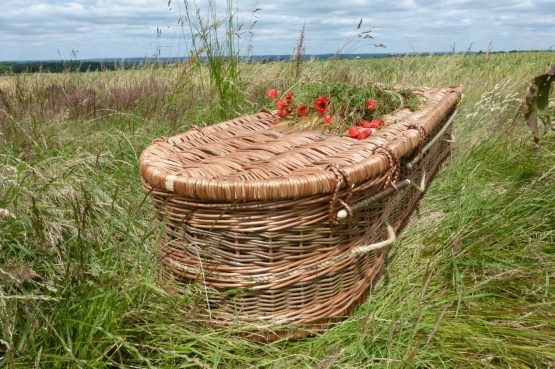 Over the next few days Jake was always prompt in responding to calls and emails and the coffin was delivered to the funeral directors in plenty of time. Mum would have been delighted with the result and the coffin was much admired by many who attended her funeral. First-rate service and quality. 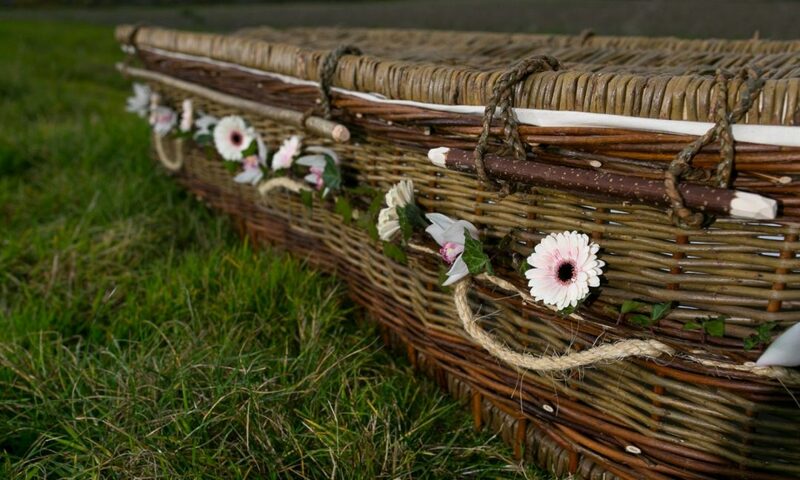 Beautiful coffin for my mum I ordered one of the Sussex Willow coffins for my mum as we were having a natural burial for her. 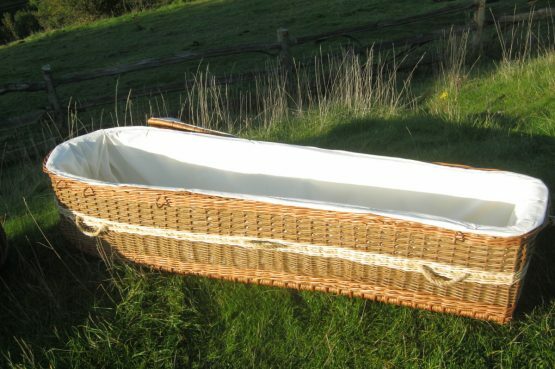 Jake was incrediably helpful and kind, the coffin was made and delivered within a few days of me ordering it. 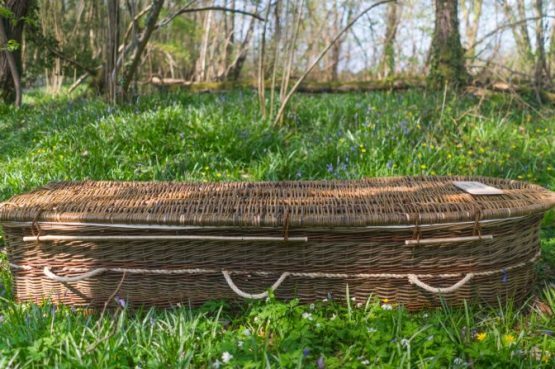 It looked beautiful and the funeral directors said it was the best willow coffin they had ever seen. It was woven properly all the way round, it didnt have a wooden base, but a proper willow one (apparently many willow coffins have a cheap hardboard base and just willow sides - I had no idea!) We put simple white lilies on the top and wound a few bits of ivy round the sides and it looked lovely. I was so pleased with it. I am hoping not to need another such coffin for a long time, but if I do then I would certainly get Jake to make it.